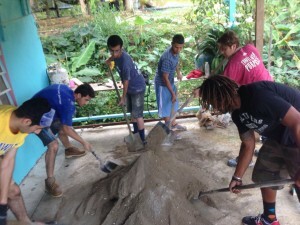 Returning from a successful trip to Puerto Rico, Scott Duarte and the SABIC scholars have finished editing a documentary about their (along with MariaJose Riera) travels where they learned about Puerto Rican history and culture and helped an impoverished community by aiding in local construction of residences. The full-length feature film documentary (70 minutes) containing interviews and pre/post student reflections. The version presented at the sessional Drama/Film Showcase. This version is 30 minutes long containing some interviews and student insights. 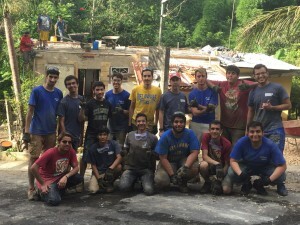 Tagged Puerto Rico, SABIC, SABIC Scholars, udeleli, Volunteer work.